Will You Help Us Pack Her Lunch? How can a simple sack lunch change the world? Can a simple sack lunch change the world? The scene was a mountainside, near the shore of the Sea of Galilee. Jesus was in the midst of a busy season of ministry. Healing. Teaching. Preaching. Mentoring the 12 who were closest to Him. All around the crowds pressed in, hoping to capture a glimpse of Jesus. His eyes were focused on the disciples, but when He glanced up and out, He saw the multitude coming. Not only had a crowd gathered, but it was a hungry horde. And they expected Jesus to feed them. Philip quickly began to crunch the numbers and determined just how impossible a little impromptu mountainside picnic would be. But what seemed an impossible feat to Philip would soon become a glorious display of God's power. It was then, as today's passage shows, another disciple — Andrew — piped up. He alerted Jesus to the fact that a young boy was part of the crowd and that he had with him five barley baguettes and two tiny fish. Not much of a lunch as we see in today's key verse. But it was more than enough for Jesus. This familiar story of Scripture often focuses on the young lad sharing what he had. In the end, not only was everyone fed, but there was excess — as many leftover baskets as there were disciples — 12 of them! But have you ever stopped to wonder where this child got the food? Had he been running an errand for his family, buying fish and bread at the marketplace as many Bible scholars surmise? Or maybe — as I heard a pastor once suggest — this was his own sustenance for the day: a sack lunch of sorts his mother lovingly packed. This child wasn't just armed with food Jesus needed to nourish others, he also possessed a humble heart and generous spirit. And, he was best positioned to give because someone empowered him to do so. Yes — maybe his mama not only packed him a sack lunch, but she taught him some good manners as well. In the end, it resulted in many being nourished. At Proverbs 31 Ministries, often we feel the crowds pressing in. There are women who desire to study God's Word but don't know where to begin. There are people who earnestly wish to show God's love, but their own life is riddled with sadness or stress. There are mothers who long to teach their children God's ways, but they need tools to help them do so. Before these souls can give to others, they first need to be filled up. They need their spiritual sack lunch packed with sustenance so that they, in turn, can share with others. Will you help us pack their lunch and change their world? It just might change yours, too. When you give to Proverbs 31 Ministries, you allow us to take God's Word to over 810,000 people who read our online devotions. You help us to equip more than 500,000 people who've downloaded our First 5 mobile app. You help position our office staff to encourage a weary soul online or a frantic mother on the phone. You enable a book or resource to make it into the hands of a woman who needs it most. You pack their lives with what they need so they can give to others. While it may seem like an impossible feat to touch the multitude of lives God brings our way, with your financial help, it instead becomes a glorious display of God's power. 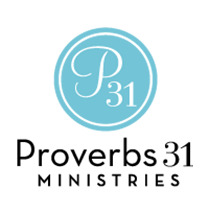 Will you consider helping us by giving to Proverbs 31 Ministries today? Click here to partner with us. We can't wait to see how many full baskets are left from your generosity. Father, I want to generously give to others so they, in turn, might change their worlds. In Jesus' Name, Amen. Help us continue to reach women and families all over the world with God’s Word by partnering with us through prayer or a monetary gift. Click here to give now. 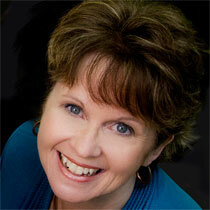 Have you ever known someone who gave so that others could in turn be empowered to give? What happened in that situation?